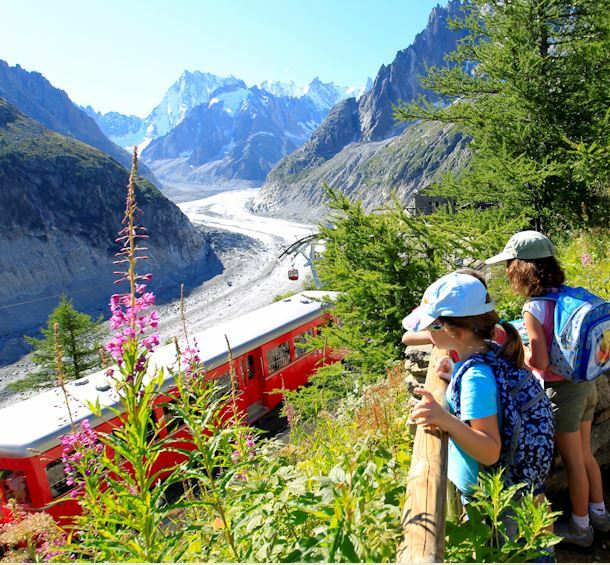 Here are our favorite hikes in the valley of Chamonix-Mont-Blanc. Do you want to know everything about the hikes in the valley? Get your hands on the latest hiking guide available in our online shop or directly in the tourism offices of the valley. • Take a look at the list of the different guide companies. . Dogs are allowed on lifts except at Aiguille du Midi. For chairlifts enquire before going. Whympr App : Alpine Climbing, Ski Touring, Rock Climbing... find your routes ! Dogs forbidden in Natural Reserve. Consulta subito l'Ufficio d'alta montagna per conoscere le condizioni dei sentieri e le condizioni meteorologiche! Porta sempre con te i numeri di emergenza. Prevedi un'attrezzatura adatta! In previsione della tua escursione, ricorda di informarti sull'ora di chiusura degli impianti di risalita. Hard (significant altitude differences) * référez-vous au guide des Sentiers du Mont-Blanc : boutique en ligne.